Eleven years ago I was in a head-on collision on a dark country road. I came around a blind corner and suddenly there was a pickup truck coming at me in my lane. I swerved onto the shoulder, and so did the truck. The ensuing impact triggered the air bag and shortened my Honda Civic by three feet. Fortunately, my two dogs were home, waiting to see what I brought them from the dinner I’d been to. This time they had to wait longer than usual, because I spent the next week in the hospital. I eventually walked out on my own—limped, actually, on a fractured ankle, and with a spiffy new titanium-reinforced wrist and several broken ribs—but if they’d been with me in the car that night, sitting in the back seat, odds are we all would have been a lot worse off. 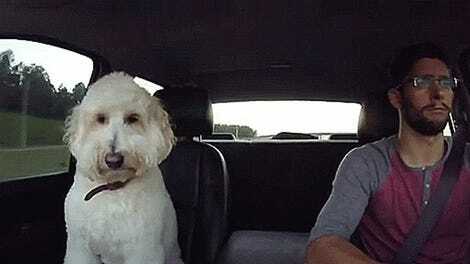 People who always wear seat belts, and buckle in small children as a matter of habit, sometimes allow the family dog to wander freely around the car, or let it sit on the driver’s lap and hang its head out the window. But species-specific strands of DNA aside, in a car crash there’s little difference between an unsecured dog and an unbelted human—both are basically large bags of meat and bone flying around in the interior, vulnerable to injury and capable of inflicting it, sometimes lethally, on other occupants. There are virtually no state or federal laws regarding how to carry pets in vehicles, and no safety standards at all for the products most often used to carry them, so naturally there were no crash standards for pet-carrying products. I have little doubt that the combined weight of Winzer and Daisy (both now long gone and sorely missed) would have clocked me hard enough in the back of the head to put my lights out permanently—never mind what it might have done to them if they survived. These days my two dogs Dickens and Molly (a.k.a. Molly Don’t Eat That It’s Disgusting) ride in the back of my old Honda CR-V separated from the passenger section by a barrier made of cheap tubular steel. This is what Lindsey Wolko, founder and CEO of the nonprofit Center for Pet Safety, calls a “distraction prevention” product. It’s also, as she pointed out to me, useless in a crash, and would probably just add to the number of things flying around inside the car. There are virtually no state or federal laws regarding how to carry pets in vehicles, and no safety standards at all for the products most often used to carry them, so naturally there were no crash standards for pet-carrying products. Then the CPS came along. Crash testing is expensive, and no one knew that better than a car manufacturer. Michael McHale, a spokesman for Subaru, explained that Subaru’s cars tend to be particularly popular with people who carry pets in vehicles, particularly dogs. “I think it’s like 60 percent carry their pets in their vehicles at least once a month,” he said. With funding from Subaru the CPS was able to hire MGA Research, an independent testing facility used by the government, the military, and the aircraft industry. But first they needed standards to test. With help from specialists in the field, the former head test engineer with the IIHS, and even volunteers from NASA, the CPS decided to use FMVSS 213—the standards that govern restraint systems for kids under 80 pounds—as the baseline, using the same speed, impact, and data curves used to test child safety seats, but with slightly different rules to account for dogs instead of humans. Harnesses: These are wearable devices to restrain the dog from wandering around inside the car and possibly causing a crash by distracting the driver, or give the dog the best chances of survival with a higher, very restrictive level of restraint. These are basically seat belts for the dog. Harnessed dogs should be in the back seat; up front they’re vulnerable to injury from the passenger-side airbag. Typical prices range from $25 to $50. Carriers: Made of either hard plastic or a soft mesh material, they’re made for small- to medium-sized pets and are designed to sit on the back seat. The better ones come with straps, or use the car’s seat belts to keep them on the seat in crash. Most don’t come with any sort of anchor straps. They’re priced anywhere from $40 to $100. Crates: Made primarily for bigger dogs, they usually fit only in the rear cargo area of a crossover, wagon, or SUV, butted up against the rear of the back seat to reduce the forward momentum in the event of a sudden stop. The good ones come with straps that use the car’s anchor points to keep the crate in place. You can drop up to $500 for a top-of-the-line crate, but many average less than half of that. 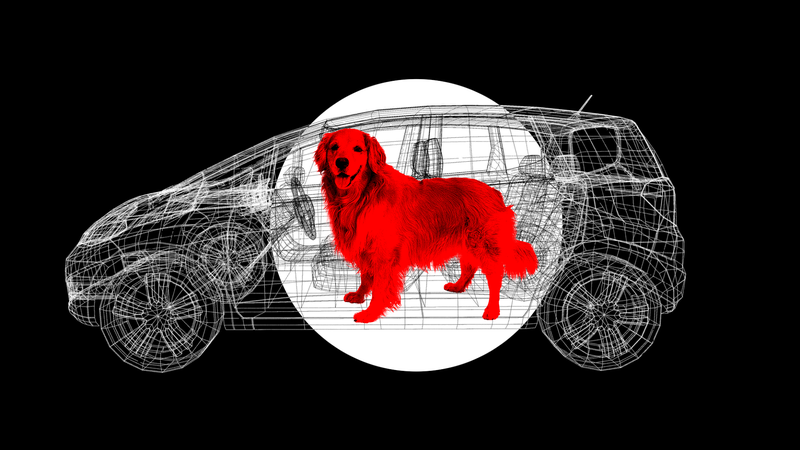 The crash tests don’t use actual dogs, of course, but “simulants” that themselves have evolved since the pilot study. In a head-on like I had in my Civic, the tubular barrier I use to keep my dogs from climbing up to the front of the car would have been worse than useless. You can see the results of the 2015 tests, as well as some frankly alarming videos of fake pooches being turned into projectiles, at the CPS website and on YouTube. In a head-on like I had in my Civic, the tubular barrier I use to keep my dogs from climbing up to the front of the car would have been worse than useless. But there isn’t enough front-to-back room in the rear of my CR-V for two crates big enough to hold Dickens and Molly, and the wheel wells take up a lot of the floor space anyway. The prices of some of these products might make you wince, but as Wolko pointed out, dogs often come off much worse than humans in car crashes, with spinal injuries fairly common. Assuming the dog survives, vet bills to treat these injuries can run into the thousands of dollars. Compared to a crate, that’s a screaming deal. For now I’m going to cobble up a better, sturdier barrier, one that’s strong enough to keep my dogs in place during panic stops, if not a crash. I’m also looking around at other options, up to and including different vehicles with larger rear cargo areas. Meanwhile, until I figure out how to keep my dogs—and myself—safe, I’m driving very slowly and carefully to the park every afternoon. They might be just dogs, but they’re family to me. Jerry Smith has been a motojournalist for… well, a very long time. When he’s not writing about motorcycles, he makes up stories about people who don’t exist. His latest novel, Dents, is about some of those people, and the awful and funny things he makes happen to them.